In today's world of critical applications where continuous power is essential to daily operations, MAKKAYS provides comprehensive AC & DC power solutions for corporate, industrial and telecom environments. One window complete solution backed by the highest level of service and support by a team of highly skilled individuals makes MAKKAYS the number one choice for your power solutions. We provide state of the art, good quality European products meeting International standards. 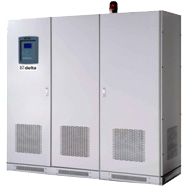 Our UPS range starts from 500VA to 500KVA in standalone application, and it goes upto 2000KVA in parallel configuration. 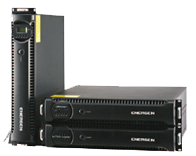 We provide all types of maintenance free batteries for UPS, Solar and Telecom applications. We represent world renowned brands like Haze, Narada, Fiamm, Enersys and Vision. The range starts from 4.5Ah and it goes upto 5000Ah.